It seems as soon as I turned 43 my heels decided to dry up so in steps this awesome Pedicure Callus Remover sold by Bella Naturals and all changes around in a matter of days. I use this before my bath or shower and then slater on a thick moisturizing cream before turning in for the night. I also put on a pair of those foot socks for extra moisture as well. They always end off by the morning but anything to keep the moisture in sounds good to me. My daughter currently has a planters wart that over the counter products would not work on, our insurance won't pay for the medication that will work so she has been getting her foot cryoed and using this callus remover to help with the pain. She is slotted to go in for Laser surgery which the insurance will pay for. Don't ask me why they would pay for the surgery over the medicine but they are. Without using the callus remover she would be in way more pain then she already has to bear with. Even though it didn't remove the plantors wart it is helping relieve the pain until she gets the surgery. Remember do not share your foot care products with others. We have our heads marked so there is no mix up. 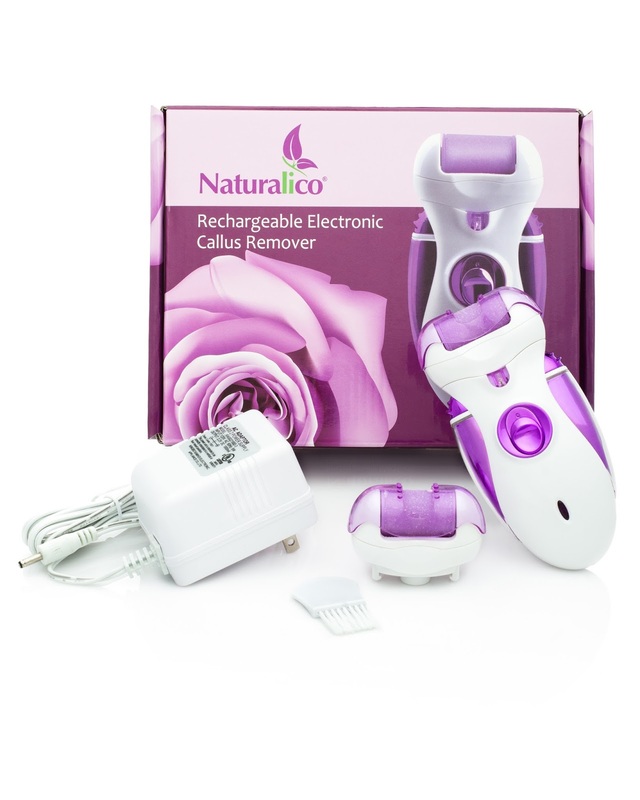 You can purchase the Pedicure Callus Remover on Amazon.